NASHVILLE, Tenn., January 22, 2019	(Newswire.com) - Wood Partners has hired real estate industry veteran Andrew Steffens as Managing Director to lead its new Nashville office. Steffens will be responsible for sourcing and developing multifamily development opportunities in the Nashville region for the national real estate company. "We are thrilled to be expanding into the Nashville market with Andrew at the helm," said Joe Keough, Chairman and CEO of Wood Partners. "Andrew possesses an intimate understanding of Nashville, as well as a strong and successful track record within the region." Prior to joining Wood Partners, Steffens spent seven years with two other reputable developers where he executed over $350 million of development. 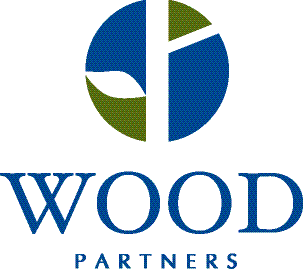 Wood Partners' Nashville office will be its 18th U.S. office. "Wood Partners is an industry leader with a great history and I am excited to be leading the Nashville expansion," said Steffens. "There is tremendous opportunity in this market and I look forward to building upon Wood's twenty-year history of developing best-in-class product across the United States." Steffens has also held various roles within the real estate finance group at Citibank. He graduated with honors from the University of Tennessee and earned an MBA from the Owen Graduate School of Management at Vanderbilt. Wood Partners is a national real estate company that acquires, develops, constructs and property manages multifamily communities. It ranks consistently among the top five multifamily developers in the country. Through quality construction, responsible land development and intelligent design, its communities reflect the aesthetic and social fabric of the community and provide a luxurious living experience at a fair price. The company has been involved in the acquisition and development of more than 73,000 multifamily homes with a combined capitalization of more than $12.8 billion nationwide. The company currently owns 70 properties across the United States with a combined total of 20,000 homes. Wood Partners has offices in 18 major markets nationwide including Atlanta, Austin, Boston, Charlotte, Chicago, Dallas, Denver, Houston, Los Angeles, Nashville, Orange County, Orlando, Phoenix, Portland, Raleigh-Durham, San Francisco, Washington, D.C., and West Palm Beach.